When it comes to packaging, one of the most universal and ubiquitous substances used is plastic. Rigid plastic segmented into accommodating shapes to be exact. The global rigid plastics sector, valued at £144.7 billion, dominates the packaging market, making up 20.8% according to Packaging News. That figure is expected to jump to 22.7% over the next five years, placing market value at £181.5 billion in 2020. Worldwide authority on the packaging, paper and print industry, Smithers Pira, released an exact and comprehensive market report in which the future of the packaging is broken down. Called The Future of Global Rigid Plastic Packaging to 2020, the report predicts that the volume demand for rigid plastics will increase by about 10 million tonnes, going from 51.7 million in 2017 to 61.3 million in 2020. The UK alone commands 3.3% of the total volume. A large majority of that demand is for PET and PE plastics. Plastic has effectively stomped out less-adaptable packaging, namely glass bottles/jars, liquid cartons, and metal cans. This is because the rigid plastic packaging industry is fuelled by superior material which is more lightweight, less costly, and recyclable. Its most attractive quality, however, is its ability to be designed. Flashy packaging capitalises on the passing-by shopper by immediately grabbing attention. However, flashy does not mean compromising on functionality and utility. Simply put, a pack of quality design should be aesthetically-appealing, practical, and clearly made for the product. “Food brands are putting their innovation into the product itself; but they’re also looking to put something different on the shelf and being able to communicate a story to consumers,” says Greiner Packaging’s sales director for UK and Ireland, Barry Atkinson. 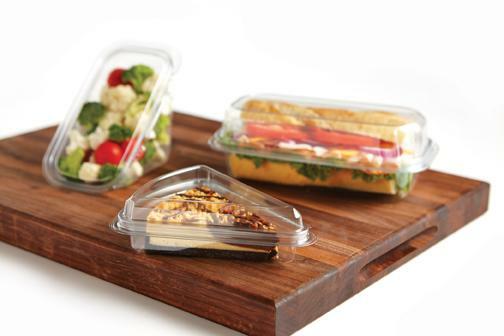 However well rigid plastic is projected to do in 2017, an eye must be ever-focused on the flexible packaging industry.